People have privacy concerns, hate ads, but want deals on demand. Businesses need paths to the growing mobile movement. Uniquely solved. 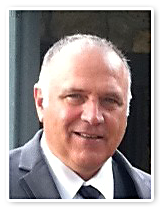 Jeffery has over 30 years experience in management, marketing and business development work. With studies in Economics and Marketing Jeff successfully worked in the fields of Banking, R.E. Development / Management, Strategic Market Consulting and Logistics. Jeff started Wild Critter Media 6 years ago with a focus on client development projects, while integrating his own creative ideas into tangible start ups over time. Leo brings 20 years of graphic design and programming experience to the Cloudknocker development process. He fills the role of IT Specialist while contributing in both a design and programming capacity. Leo has been working with Wild Critter Media for 2 years, having built some very robust back end management systems for clients. He is Microsoft (net) certified along with many other accolades and training completions. PMP certified, Amy has a vast 15 year experience with specialties in Project Mgmt, Corporate Communication, Marketing Strategy & Campaigns, Sales Analytics & Support, PR , Creative & Sales Team Leadership, Vertical Research & Lead Generation. Her drive in Development - Process Improvement, Solution Design, Fit to Win Business Development while prioritizing system standardization using a process rigor and Six Sigma tools, will be immeasurable. Larry will be bringing his extensive knowledge in building out business development network teams. He is broadly adept at understanding our target market, having worked for some of the leaders in this vertical over the past 10 years. He has identified our project to be ahead of the curve in mobile penetration. We are looking forward to his motivated ways, demeanor and zest for success. None- This is a self invested development to this point.